In one simple word, Innovators. We’re always thinking outside the box, creating new ways to make solar viable and take your dollar that one step further. 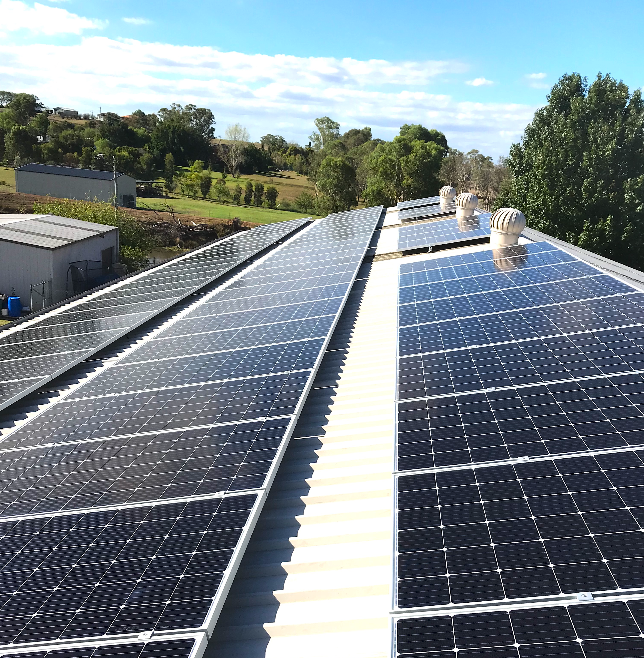 Red Giant Solar was established by a team of Solar experts with many years of experience in the industry, hoping to deliver ethical advice and Solar solutions to everyday Australian families and businesses. We aim to solve two problems at once; climate change and your electricity bills. 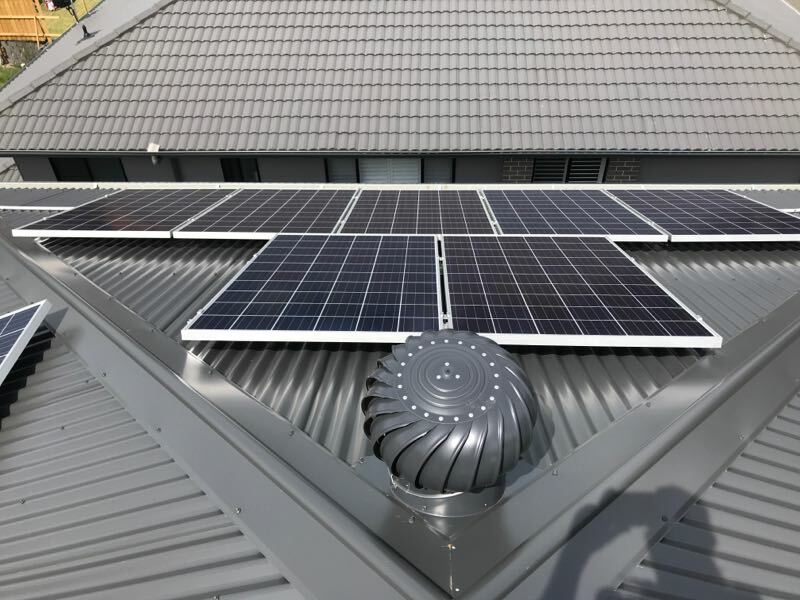 Red Giant Solar is 100% Australian owned, with a team that will educate and inform you prior to tailoring the right solar system for your needs, and have a 24 hour support line to help you care for it in the future. Very happy with everything, but I am only getting about 4.3 kwh max out of a 5.4 kwh system. I was hoping to get closer to 5 kwh. I feel I should of been told that from the start from Red solar. I think people should be told more clearly that if they buy a certain size system, they only get 80%. Dave from Red Giant was fantastic. Kept us informed throughout the whole process up to installation. And the team who installed our system were also very good. We had a difficult roof install. CSR Monier Nullabor Slate flat Terracotta tiles are installed. The first team could do the job as they didn't have the right clips and were not comfortable installing due to the roof type. The gun installers came out and got the job done-- as predicted and informed of they did break about 20 odd tiles. No problem we had spares. Kept me informed throughout the day and discussed the option of dropping some panels due to to the aspect and shading issues. The install was really neat and professional. No ugly conduits on outside walls and all that. Couldn't be happier. Great solar production on the first full installed day. Then the weather turned crap and the rain started. To my absolute delight not a drop of water in the roof anywhere-- Happy with that resuult. The team was very attentive when our design requirements were shared. They offered advice around ways to optimise this design so that aesthetics and practicality were balanced and I am very happy with the final design. Red Giant's customer focus and deep and wide expertise in their field influences me my decision to go with them. Red Giant did not compromise on equipment quality and were very careful when installing - I was there the whole time. The staff were courteous and pleasant to deal with and they completed the install efficiently. No rubbish or waste was left behind. The installer took his time to show me how to operate the system and the warranties were sent through soon after the install was completed (electronically). Red Giant Solar have been really great to deal with. I'm very happy with the quality of service and the integrity of how they treated me as a customer. Baker Taleb was fantastic from the minute I called him right through to the end of the job. I had spoken to numerous other companies and hadn't felt comfortable that they were 100% honest, but after speaking with Baker I was ready to go ahead with Red Giant Solar. 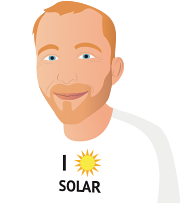 I found Red Giant Solar to be honest, upfront about everything, responsive to any queries I had and always had a straight forward answer. I also appreciated that there was no need to chase them about anything, they always got back to me when they said they would. 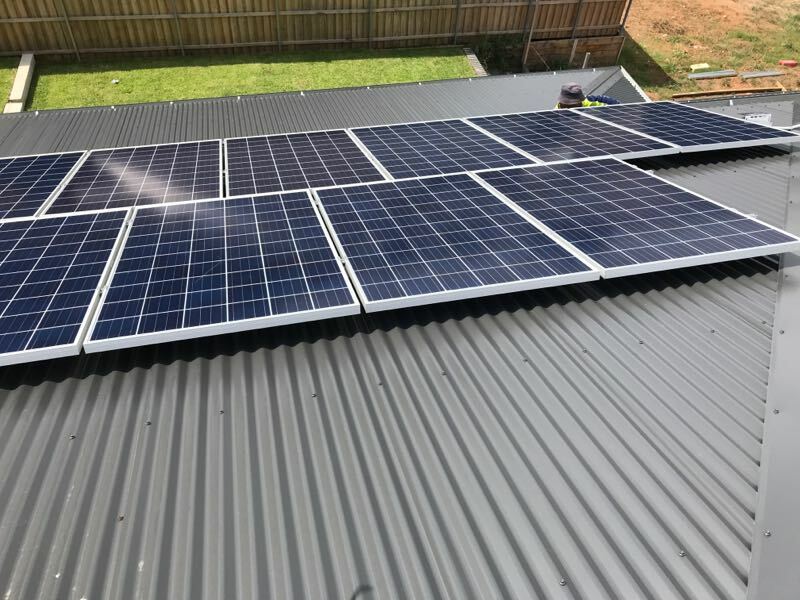 When it was time to install the panels, due to availability, the ones I was quoted were upgraded to higher output panels (same system output) with no additional charge. The installation went smoothly. Baker was very helpful and honest in our discussions and negotiations. We received a very good price (albeit not quite the cheapest) for a quality system. The installation team also did a really nice job installing the system. It only took about 3 or 4 hours, and they cleaned up perfectly. It was a pleasure dealing with Baker and his team of installers. Our system was up and running within 8 days of paying our deposit. Rami the electrician did a fast, neat and proffessional install with the help of his well trained team. I always try to consider the value of something over the cost, from my first phone conversation with Baker from Red Giant Solar I had high hopes. 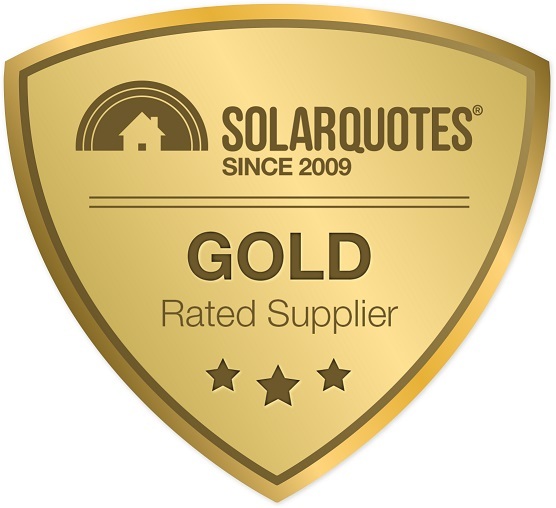 I personally value honesty which is a rare trait for a salesperson in any industry but Baker put my mind to ease, happily answering any question I had even with regards on the best way to approach the Energy Retailers to get the best possible return for our Solar investment. The other credit I want to give is that, once we confirmed the order, the customer service remained at a high level, still maintaining contact and providing updates on the status of our order and Expected times of delivery and installation. 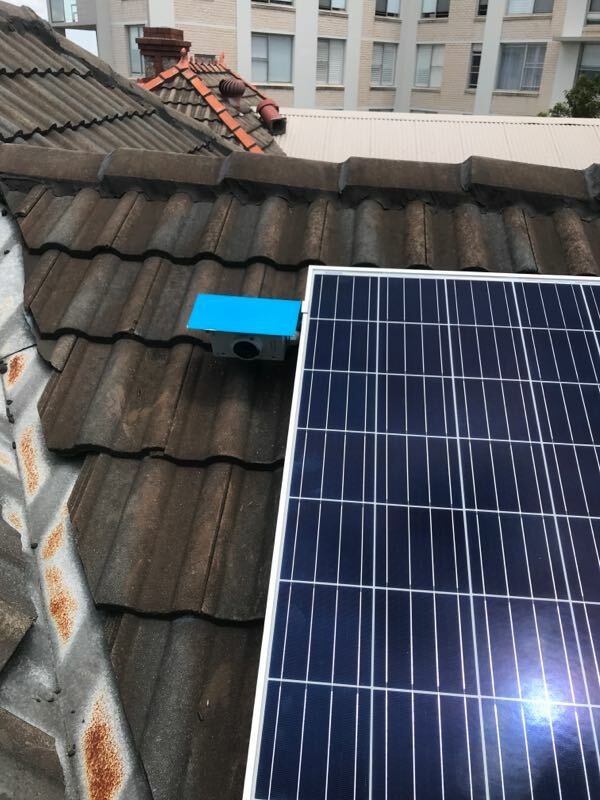 There were a couple of small incidents when it came to the actual installation, a dropped power tool off the roof (theirs, not mine) and a bent gutter where they used a ladder to gain access to the roof itself to install the panels (easy fix). Given my experience with other tradies, this was a minor inconvenience and other than those issues the installation team were, efficient and thorough, I moved where I wanted the inverted installed a couple of times (before any drilling) and they were more than happy to comply with my indecisiveness. We realised we were paying far too much on our electricity bills for our business. We heard about Red Giant Solar from our friends who had a large system installed on their factory. Their business model is absolutely perfect, the entire team are very knowledgeable and honest in their advice. The customer service with Red Giant Solar was excellent. They kept us informed and up to date with the process. The sales rep sized a system that was within our budget while still using good quality components. The process of organising the system was quick from the moment we ordered the installation. On the day the system was installed, the crew were fast, friendly and professional. Solar expansion - company did understand my special requirements and accommodated me perfectly. 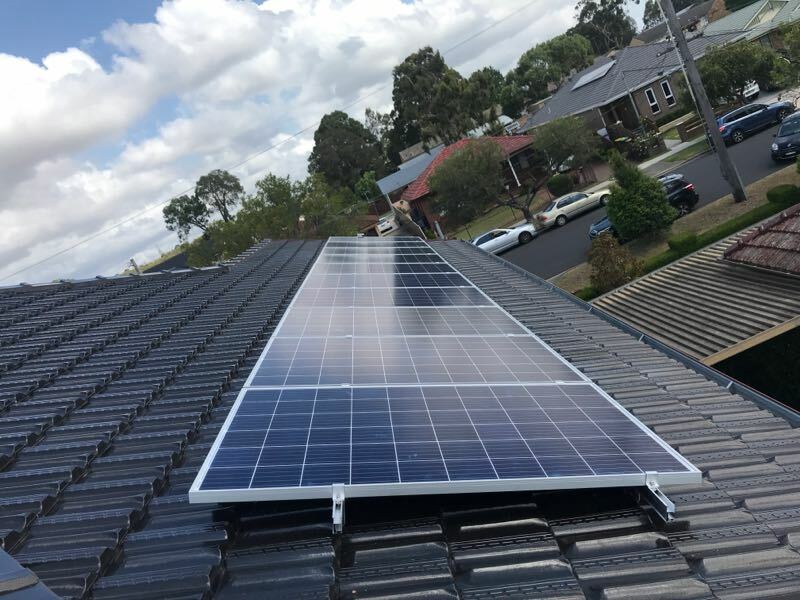 Although installed system has not yet been metered by the grid supplier AGL the system appears to be working as desired. We were impressed by Baker's installation crew who completed the installation over 5/6 hours and left the job in a neat and tidy fashion.They were very polite and accommodating.Baker was quick off the mark getting the necessary approvals and has been very prompt in answering our queries. Many thanks to Baker and the team at Red Giant Solar. Baker showed excellent customer service, professionalism and courtesy and answered all my questions promptly. I was reassured by all this as well as his excellent product and industry knowledge. Our paperwork was processed smoothly and the system was installed less than 2 weeks after signing up. Installation was smooth and professional. My situation was somewhat complicated by the fact that I had an old much smaller system with panels still working but inverter...not. Plus whatever was done I needed it done quite quickly as I was departing for overseas in a few weeks and we had Xmas and N.Y intervening.